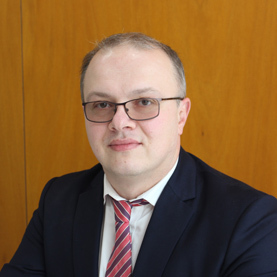 Marius Negru grew up in Romania, graduated from Carol Davila Medical School and completed his Trauma and Orthopaedic training program at Floreasca Emergency Hospital in Bucharest. Mr. Negru developed an interest in upper limb surgery early in his career and had further training in south west region in United Kingdom. He undertook a visiting fellowship at world famous Reading Shoulder Unit in UK working with Professor Stephen Copeland and Professor Ofer Levy in 2014. In 2015 he gained further expertise in Upper Limb Surgery as a Senior Shoulder and Elbow Fellow at University College of London Hospital, the Institute of Sports, Exercise and Health and The Shoulder Unit (Hospital of St John & St Elizabeth), London, UK. Mr Negru was appointed Consultant in Upper Limb Surgery at The Princess Alexandra NHS Trust in Harlow for one year. In 2016 he was appointed Consultant in Upper Limb Surgery at Lewisham and Greenwich NHS Trust in London. He is currently organising and developing the Upper Limb Service at St Bernard Hospital in Gibraltar. Mr Negru has a special interest in complex shoulder instability and complex elbow trauma. He is revising patients with previously failed surgery and deals with all aspects of shoulder and elbow problems. He is a reviewer for The Bone and Joint Journal (former JBJS) and for The Shoulder and Elbow Journal (UK). – Founding Member of the Romanian Society of Shoulder and Elbow Surgery (RSES).